Are you thinking about traveling abroad? Is having a super promotion for a particular country but you don't have a passport? 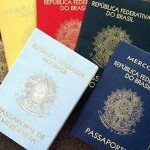 Be aware that some countries have reciprocal agreements and do not require a passport for entry of foreigners. Many countries accept the RG as official document to cross the border. However the document needs to be in good condition and it can't be too old. Only the RG is accepted, the CNH (wpgu) is not valid. You don't need a passport and can travel only with the RG to Argentina, Uruguay, Paraguay, Ecuador, Chile, Peru, Bolivia, Colombia and Venezuela. I've crossed the border with Argentina and Paraguay by Foz do Iguaçu with only the identity and was super cool. Attention, if you buy a flight which stops over in any other country like Panama (Copa Airlines) for example the Passport will be required. Although not required, think about doing a passport because it is the safest way to travel. The Passport is valid for a period of 10 years and is super quick and easy to be done. Here's the step by step of how to apply for or renew a passport. If you are thinking of traveling to Ecuador, know that you are required to have the international certificate of vaccination and Prophylaxis (CIVP). Learn how to get the international certificate of vaccination against yellow fever. Can I travel with a passport with less than 6 months of validity?